Here's a sentence I hadn't anticipated writing: LinkedIn's adding new, Snapchat-like video filters to its app. Yes, LinkedIn is also copying Snapchat - though their use-case is a little different, and does make a lot of sense. As part of their new native video tools, LinkedIn's giving conference attendees the opportunity to add dedicated event frames to the videos they create while attending such functions. As reported by Mashable, the overlays, which are designed to look like conference badges, are location-activated (similar to Snapchat's Geofilters), so they can only be used while attending the relevant events. The first version of the tool is now available as part of the Grace Hopper Celebration conference in Orlando, but LinkedIn says that it plans to make them available for more events in the future. It seems strange at first, the melding of hip Snapchat functionality into the button-down, corporate setting of LinkedIn. But when you look at the data, alongside the examples, it actually makes a lot of sense. According to Peter Roybal, LinkedIn's product manager for video, video content is shared 20x more than any other type of content on the platform. Roybal also notes that LinkedIn's new native video option has been especially popular among people attending events. 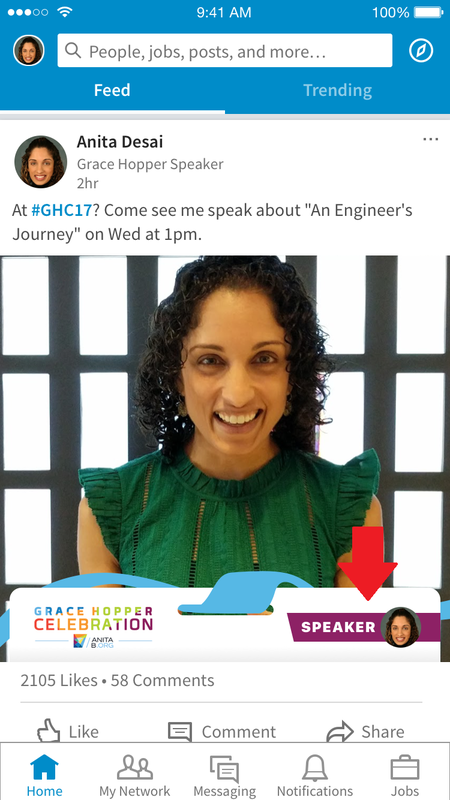 The event overlays provide another way to help promote events and generate interest, which could not only help boost engagement on platform, but could also help make LinkedIn the network of choice for posting such updates - particularly for speakers who are able to note their participation on their virtual badge. 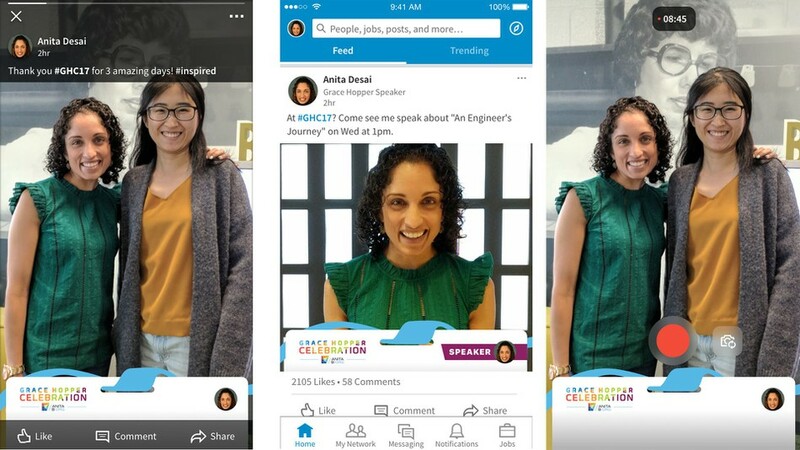 Right now, LinkedIn's still testing out the process, and will choose which events will be able to use them, but in future, they may look to turn them into a self-serve option (as Snapchat has), which could give all conferences access to the tool. It seems weird, it doesn't seem like Snapchat functionality should fit. But given the discussion of such events on LinkedIn, and the way in which LinkedIn's looking to use the tool to boost engagement, it could prove to be a popular addition, a new way to help extend the coverage - and reach - of your corporate events.